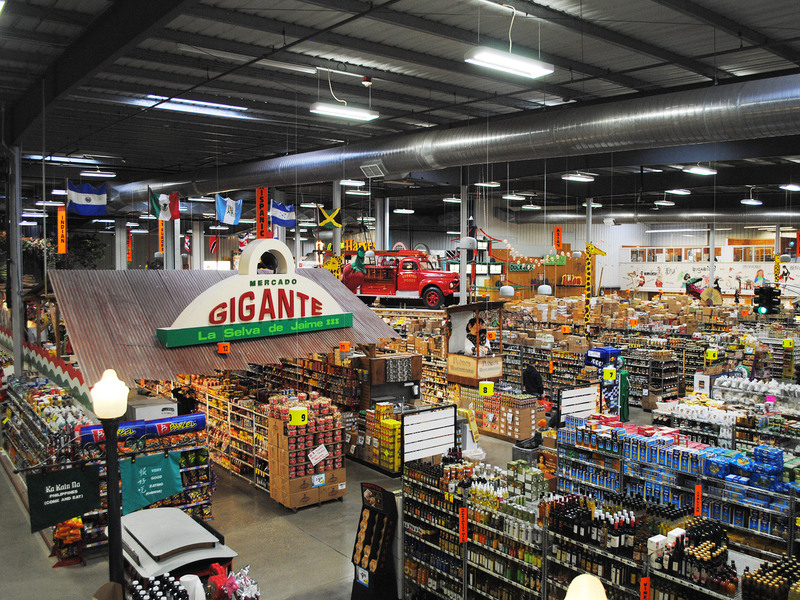 It's a total spectacle, it's a popular tourist attraction, but Jungle Jim's International Market also happens to be a terrific place to do your food shopping. Before you ever set foot inside Jungle Jim's International Market, a Cincinnati institution with two locations out in suburbia, you will probably have heard the rumors, and they're all true. This place is, in many respects, nothing short of ridiculous. Truly, where to start—with the retired monorail cars, plucked from a shuttered safari park, and displayed prominently above the entranceway? How about the giant fake giraffe, cavorting next to a fake waterfall, along with a crew of fake elephants? And what of those insane animatronic displays indoors, including a lion that every now and then breaks into Elvis' greatest hits? Oh, and, yes—unlike that imposter Trader Joe's, there's really a Jungle Jim. There's a reason why a supermarket doubles as a tourist attraction, and you can hold your jokes about Cincinnati, because there's plenty else to see and do around here—these giant-sized stores, both of them larger than the average Walmart Supercenter, aren't just places to go food shopping. They're vaguely warped theme parks of sorts, delivered from the absurd mind of Jim Bonaminio, who began his rather colorful career by selling produce by the side of the road, eventually opening up shop in the town of Fairfield, with just a few thousand square feet of space, back in 1971. Today, Jungle's empire—everyone calls him Jungle, you can too—stretches out for acres, on two sites, bookending the city of Cincinnati. Bonaminio's first love, he'll be quick to tell you, are the stores themselves, and all of the weird and wild stuff he's manage to stuff inside them. Once you get past the very compelling clutter, past the singing stuffed animals, the restrooms hidden behind port-a-john doors, the cartoonish theming along the international food aisles, any keen-eyed shopper will understand that they have actually set foot in one of the most impressive grocery stores in the country—and certainly between the two coasts. In these vast spaces—the original location now reportedly sprawls out for roughly 300,000 square feet—you'll find what feels like at least that many different products. Whatever you're looking for, Jungle Jim's is one of those places that is likely to carry at least ten different kinds of it, The produce section alone will leave you aghast. The cheese section, which keeps on going, and going, and going, is enough to make a connoisseur's heart stop with excitement. 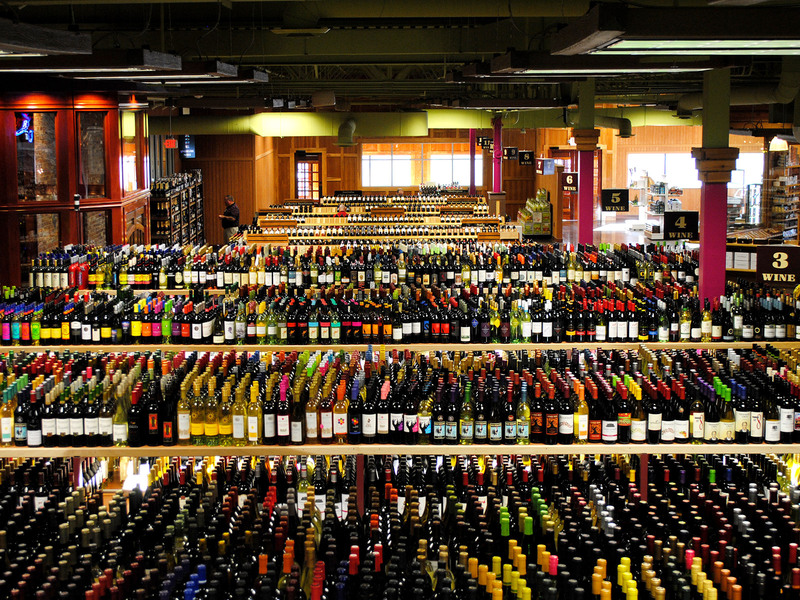 Jungle Jim's is known for carrying one of the largest selections of wine at any supermarket in the country, not to mention thousands of different beers. There's an entire section of obscure and regional soft drinks, one of the most extensive hot sauce collections you'll ever see, and there are multiple markets within markets—a massive Indian section, a Mexican section, and a whole corner of the store dedicated to the United Kingdom, resting under a Robin Hood-themed, animatronic display. From Argentina to South Africa, Japan to Australia, everyone gets a space, and many of them are extremely well-curated. It's overwhelming, to say the least, and nobody visiting Cincinnati should miss it. For many years, going to Jungle Jim's meant taking a trip to the town of Fairfield. In 2012, however, after years of working to find a second site, Bonaminio took his show on the road, landing in Eastgate, another suburb, this time at the opposite end of Cincinnati. While the new location is most certainly a Jungle Jim's—for whatever reason,they have the monorail cars here, too—the experience feels as if it has been significantly tamed. The selection is no less impressive, but this time, the store lacks that certain insanity that made the original so special. Not that we'd presume to speak for the locals who actually have to do their grocery shopping there—some of them probably find the relative normalcy to be somewhat a relief. If you need us, however, we'll be over in Fairfield, admiring the Robin Hood display, and probably buying up the entire supply of Jaffa Cakes. We Asked a Group of Snobs to Rate The Fancy Chocolate at Aldi. Here's What Happened.